Let’s start with the basics. What does ESB stand for? And for those who haven’t tried one before, how would you describe the style? M: Despite it’s name, the beer itself isn’t all that bitter, really. ESB is a classic English style and is sometimes called an English Pale Ale. It has the perfect balance of hop bitterness and malty sweetness with some fruity esters from the English ale strain of yeast that’s traditionally used. ESB is also extremely sessionable with an ABV in the 5% range. What inspired you to brew this as your first beer at CIB? M: Quite honestly, I love “old” styles of beer. English bitters, milds and ambers are some of the best examples of traditional ales in the world and I love the history behind them. I could have easily made a “juice bomb” IPA like what’s trending in most breweries, but I wanted to pay homage to the styles of old. Half of the reason I got into brewing to begin with was the history that lies in every glass and I couldn’t think of a better way to tie that into my first brew. How would you describe this particular ESB? Is it pretty traditional? What makes this one different from the rest? 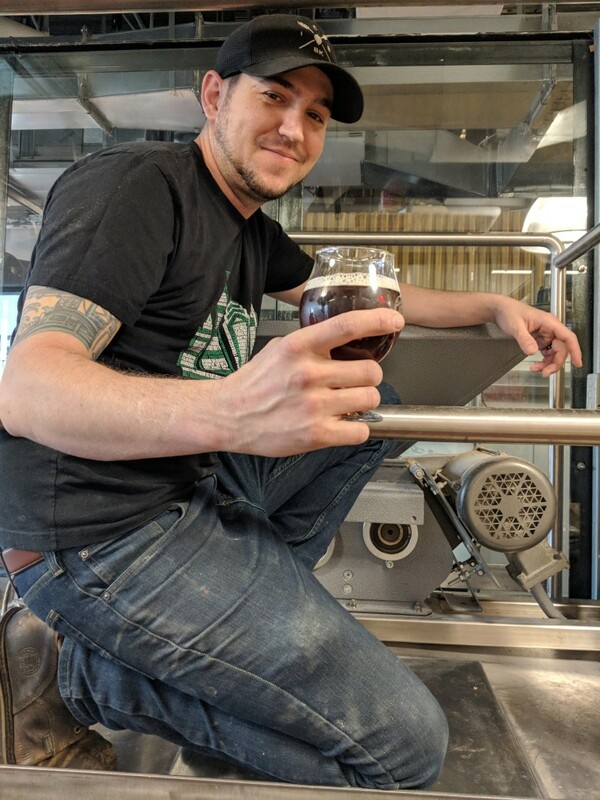 M: I didn’t want to mess too much with the traditional flavor profile however I do prefer an ESB with a bit more of a roasty character, so we added some caramel and chocolate malts which add some notes of caramel, coffee and chocolate. This also results in our ESB being slightly darker, but still within style guidelines. It’s delicious! Can you describe it in 10 words or less? M: Moderate bitterness, malty, toast, coffee, traditional, delicious! If this beer were a song, what would it be and why? M: Wonderwall by Oasis because it’s British and you won’t find a person who doesn’t enjoy it. When you brewed this, what was bumping in your headphones? M: Circa Survive radio because that’s all I listen to most days! The perfect occasions to drink this beer? M: The best part of this beer is that it’s sessionable so it’s really great for any occasion where you’re drinking a few. Outside of that, the best way to enjoy any English style beer is to have it on cask, as it allows you to glimpse into the past and see how it was enjoyed in the olden days. Where and when can people try? M: It’s now on tap at our taproom! This beer is only served in-house.